If nature abhors a vacuum, geopolitics does so even more. The vote by a majority of the citizens of Great Britain to exit the dysfunctional construct misnamed the European Union is a symptom of something far deeper and more tectonic. It’s as if a huge dam ruptured and the flood is transforming the world space. The dam is the invincibility of Washington and the United States as world sole superpower, world hegemon, trying desperately to hold the world flow back. The vacuum, created by the precipitous decline of US global power, is being answered across the world, the most surprising perhaps being the apparent concord between Vladimir Putin, Bibi Netanyahu and, of all people, Recep Tayyip Erdogan. The pace of international developments and the failure of the United States to provide compelling positive and constructive leadership in recent years–markedly so since September, 2001–is rapidly creating what Washington and the oligarchs who control it see as their worst nightmare: the end of the American Century. Brexit, despite “orders” to the British people in April from the President of the United States to remain, showed it is now possible to buck American dictats. Now Russia, Israel, and of all countries, Turkey, have opened up triangular talks to forge new cooperation on issues as broad and strategic as natural gas pipelines to Europe, ending political and military support by Turkey to DAESH and cooperation and intelligence-sharing among the three in ending the Syrian conflict. Only last November, as a Turkish jet shot down a Russian fighter jet over Syrian airspace and Erdogan refused apology, such talks would have been deemed impossible. US Secretary of State, John Kerry, and Vice President Joe Biden have been intensely involved in recent months in convincing Israel and Turkey to reopen relations, partly with an eye to get the large volumes of Israeli offshore gas from its Leviathan field to replace at least a major dependency of Turkey on Russia’s Gazprom. Last June, several days after the British exit vote, Israel and Turkey announced they had reached a reconciliation agreement. It restores full normalization between Israel and Turkey after six years of animosity. Intelligence and security cooperation, joint military exercises, and investments in energy and defense are part of the comprehensive deal. According to DEBKA file, an online blog close to Israeli intelligence, the new agreement is part of a larger agenda of similar agreements involving Israel, Turkey, Egypt and Jordan that are aimed at going after the notorious Muslim Brotherhood terrorist cult so beloved by the Obama Administration, by Hillary Clinton and by David Petraeus. 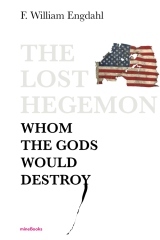 The Muslim Brotherhood, focus of my latest book, The Lost Hegemon: Whom the gods would destroy, has been intimately tied to the CIA since the early 1950’s and is the mother organization out of which came the Afghan Mujahideen in the 1980’s, Al Qaeda of bin Laden, Al Nusra Front in Syria and DAESH or ISIS. They are seemingly everywhere these days. Central to the Israel-Turkey deal is a provision that Turkey will buy significant volumes of Israeli offshore gas from her Leviathan field. John Kerry has been frantically involved brokering the Israel-Turkey restoration of ties. On June 26 he called Netanyahu to Rome to finalize the deal with Turkey just announced. Washington’s motives are anything but peaceful. She wants Israeli gas to replace Russian gas—today 60% of all Turkish gas consumption–for Turkey, and for Israel to line up in Syria along with Turkey against Bashar al Assad in order for Washington to open the way for US control of Middle East gas and oil pipelines through Syria, a huge geopolitical prize that has eluded Washington now for five years of its failed war. 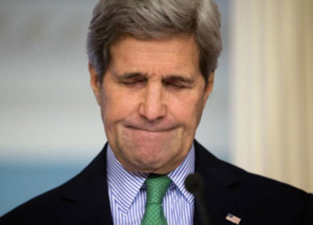 Imagine the horror then on John Kerry’s ashen stone face when he learned of another development involving Turkey and Israel. Erdogan, reportedly on Israeli urging, extended a public apology to Russia for the November, 2015 shoot-down of the Russian jet, and agreed to pay compensation to the Russian state and the family of the murdered pilot. Erdogan did the unexpected. He publicly apologized and met all Russian preconditions for restoring diplomatic relations. There is an old New York expression, “The fly in the soup,” indicating some detail that ruins the broth. For Kerry, Washington and the oligarchs who run them, Putin has just become the huge Russian Brown Bear in the US Middle East soup. The same day as the Israel-Turkey reconciliation agreement, Russian Presidential spokesman, Dmitry Peskov, announced that Turkish President Recep Tayyip Erdogan had sent a message to Russian President Vladimir Putin saying “I am sorry” for the downing of a Russian jet. Erdogan expressed his “sympathy and deep condolences” to the family of the killed pilot and “asked to be forgiven.” Turkey also agreed to pay compensation. That was pretty “humble pie” for the Turkish President. Reports are that Israel was behind brokering the reconciliation, something definitely not on the Washington agenda. It was apparently the focus of a series of increasingly friendly meetings in the past months between the Israeli Prime Minister in Russia and Putin. The emerging deal now includes Russia, Turkey and Israel in a complex new political alignment that will radiate far beyond Syria or gas fields of the region. As I wrote at the time of the April meeting in Russia between Netanyahu and Putin, “Netanyahu and Putin discussed the potential role of Russia’s state-owned Gazprom, the world’s largest natural gas producer and marketer, as a possible stakeholder in Israel’s Leviathan natural gas field. Russian involvement in the stalled Israeli gas development would reduce financial risk for Israeli offshore gas operations and increase the gas fields’ security, as Russian allies like Hezbollah in Lebanon or Iran wouldn’t dare target Russian joint ventures. This seems to be what’s unfolding now. If true, it is one of the shrewdest geopolitical chess moves by Russia we have seen. Far from an anti-Russian move by Erdogan to buy Israeli gas and push Gazprom out, Russia, Israel and Turkey are now in talks to combine forces to focus on the huge EU gas market. By feeding both Israeli gas and Russian gas through Turkey, Erdogan gets his Turkish gas hub dream, independent of his felt need to steal it from Syria or Iraq. DEBKAfile carried an earlier report, since removed, that part of the deal between Putin and Erdogan would also include cessation of Turkish covert aid to DAESH in Syria. Russian Gazprom participation in Israel’s Leviathan gas development, now with a pipeline to Turkey and ultimately bringing Israeli gas in a joint venture with Gazprom to the EU markets, combined with revival of the Turkey-Gazprom Turkish Stream project bringing Russian gas under the Black Sea through Turkey to the Greek border–Russia would find its influence in the Middle East, the world’s most unstable region simply because it is the region with the greatest known abundance of oil and gas, far stronger. This, while US influence crumbles by the hour. It’s perhaps no coincidence that less than 48 hours after both the Russian-Turkish reconciliation and the Israel-Turkey-Russia developments became clear to the world, a major suicide bomber attack, killing more than 40 and injuring hundreds in the Istanbul International Airport took place. On the same day, a revival of dormant DAESH attacks in Russia’s Dagestan resumed, prompting a declaration of Russian Special Forces’ counter-terrorist operation regime in three mountain regions of Dagestan bordering Chechnya. Would that be John Kerry’s false flag way of thanking Erdogan and Putin both? If so it’s pretty pathetic.